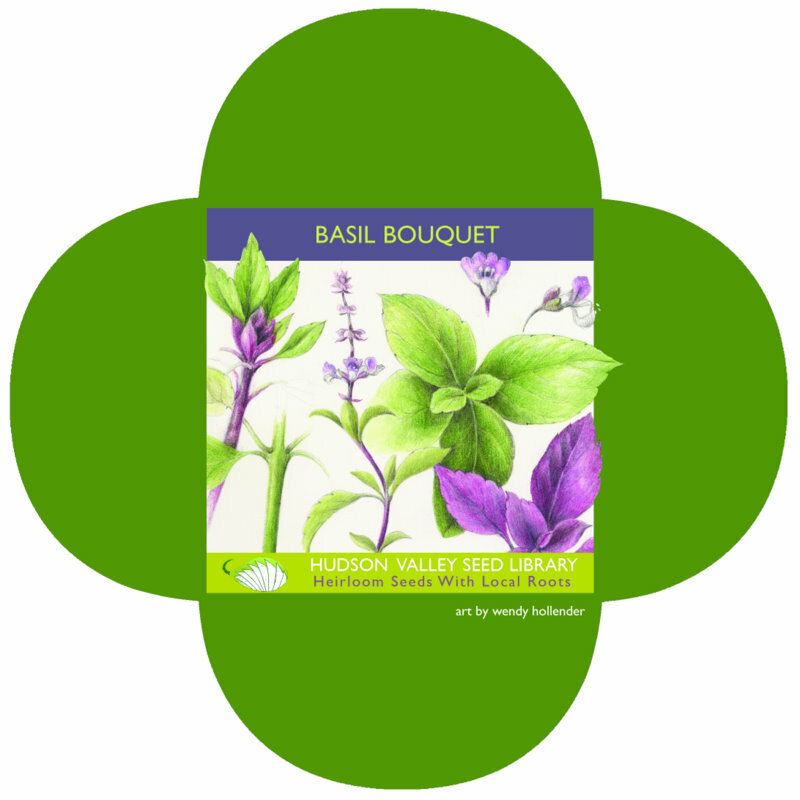 The Hudson Valley Seed Library (HVSL) site brightened my cabin fever day. The library’s goal is to develop a network of organic and certified naturally grown seed growers in their area (Accord, NY). This year they offer over 25 varieties of locally grown seeds. They also offer seed packs of seeds from member gardeners and farmers and seeds from wholesale suppliers. Each pack comes with detailed planting instructions. Ken Greene and Doug Muller run the HVSL operation. Linda-Brook Guenther puts in a lot of hours, too. Wendy Hollender is the artist behind the fabulous illustration on the Basil Bouquet seed pack.